If you’re struggling to find the perfect scent, why not try to craft your own? Since opening Pura Botanicals’ studio and storefront location on 124th Street last September, Lane Edwards has expanded upon the line’s handcrafted and organic skin care and beauty products with her bespoke perfume sessions. Edwards, a longtime perfume devotee, discovered the process of making custom scents at the age of 18 while touring the Fragonard Perfumery in the French Mediterranean coast. 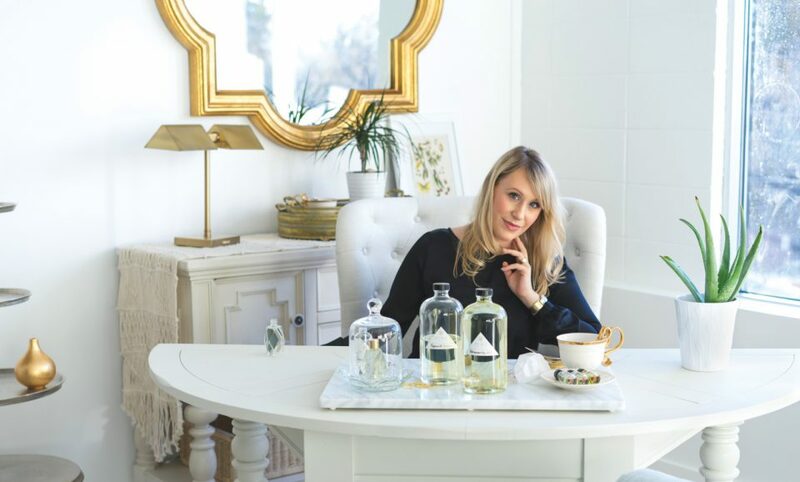 She fell in love with the methods and ideologies behind high-end fragrances – from the painstaking craftsmanship to the careful selection of ingredients and the exquisite packaging. During the two-and-a-half to three-hour session, a client works with Edwards to create a collection of three fragrance samples. Edwards first asks a series of questions to determine what scents each person is drawn to. From there, each person selects his or her favourite top, heart and base notes – the elements required for developing a perfume or cologne.